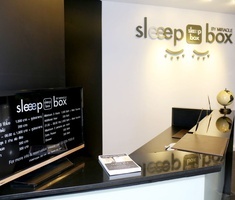 Book now fromTHB435.00 taxes included. 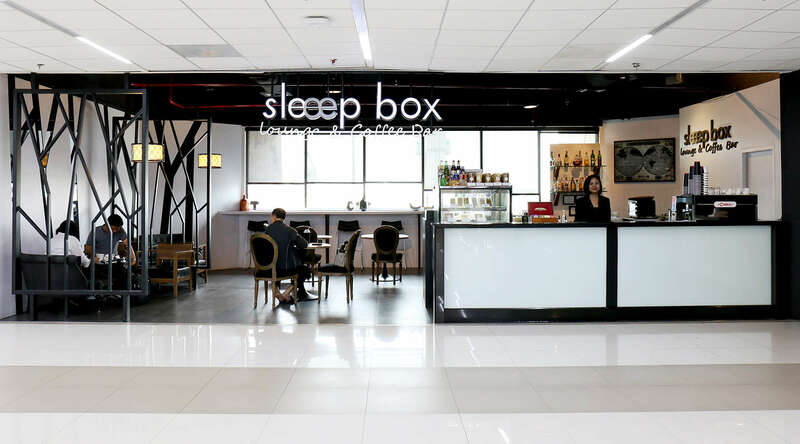 The Sleep Box by Miracle is a stylish and chic hostel with contemporary design which has been designed to surprise and please guests in transit or awaiting flights in Bangkok. 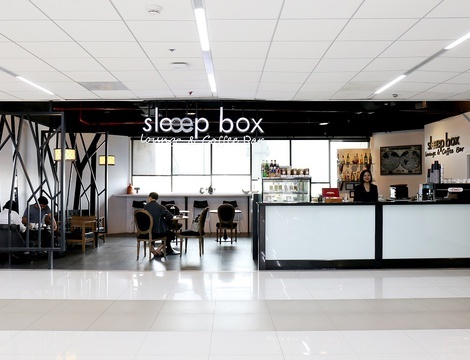 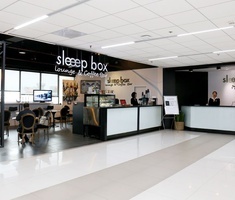 Sleep Box by Miracle is located on the fourth floor of the domestic passenger terminal (Terminal 2) at Don Muang International Airport, with extremely convenient access for passengers. 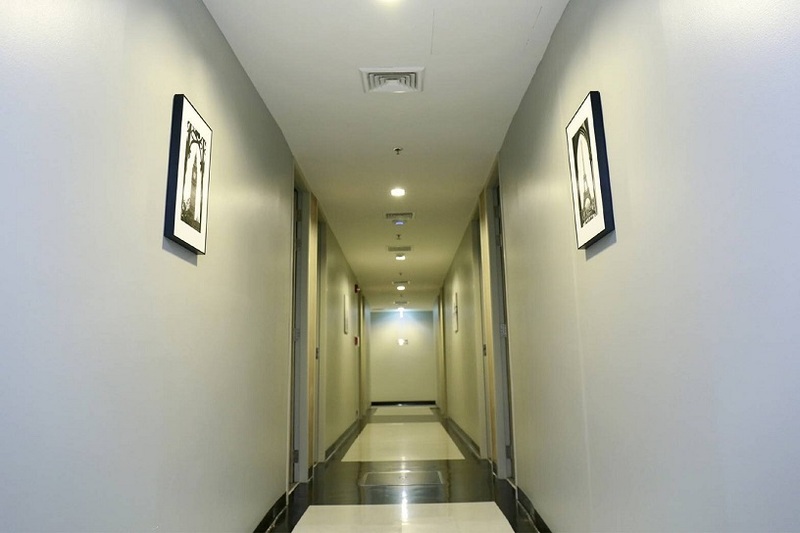 Our modern airport hostel in Bangkok provides 55 rooms, all with an en-suite bathroom and decorated in chic and contemporary style using black and white colors, offering a comfortable double bed, air-conditioning, flat-screen TV, amenities, free Wi-Fi etc. 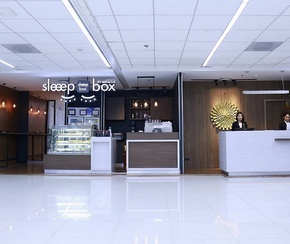 Rooms are available by the hour and by night. 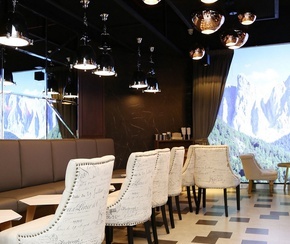 Shower facilities are also available. 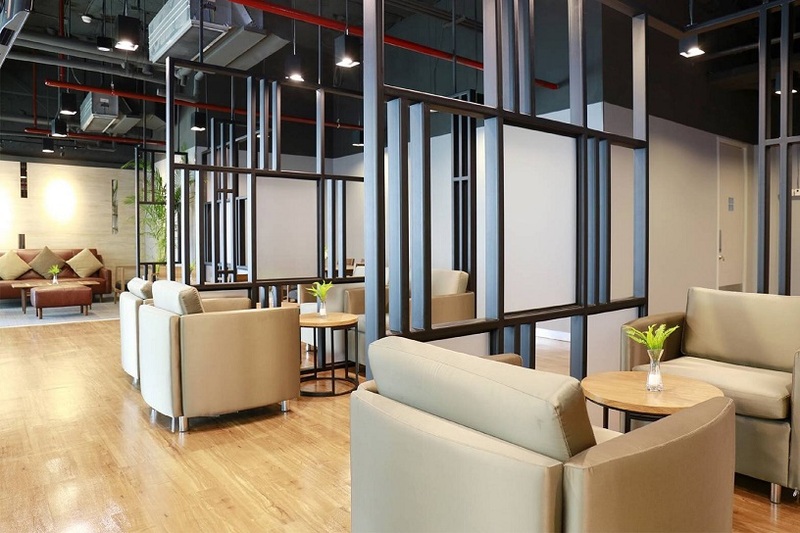 Enjoy our airport hostel in Bangkok and guaranteed rest and relaxation. 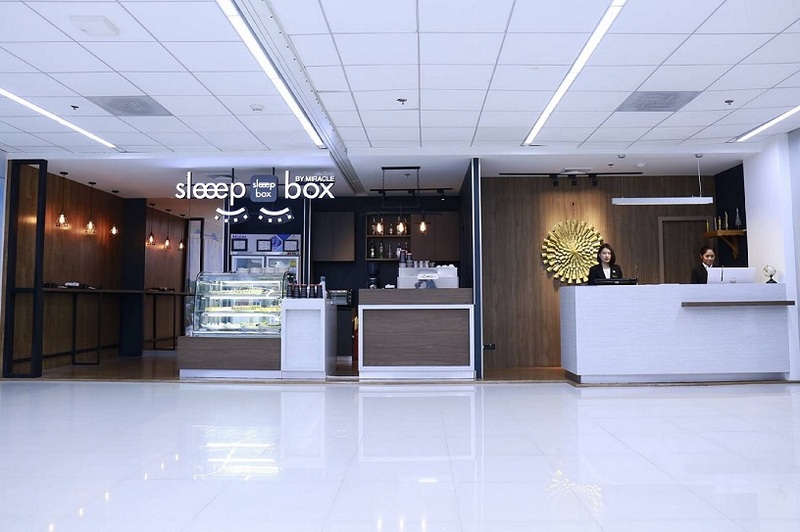 The Sleep Box by Miracle provides a lounge and coffee bar as well as a 24-hour front desk to help you with all your needs. 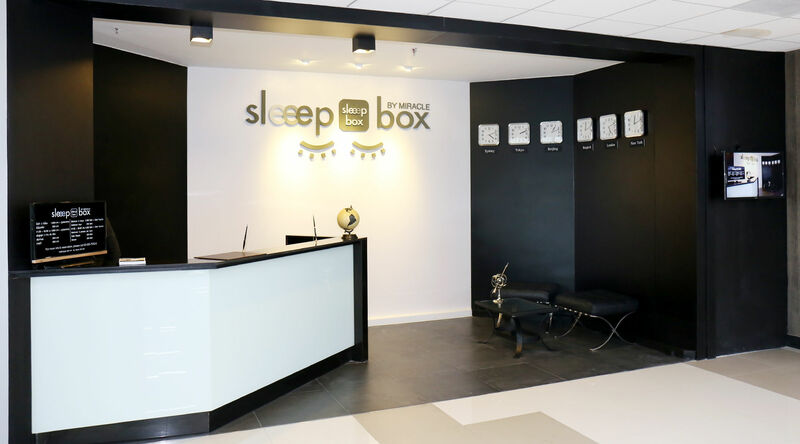 Book now at the lowest online rates on the official website of the Sleep Box by Miracle. 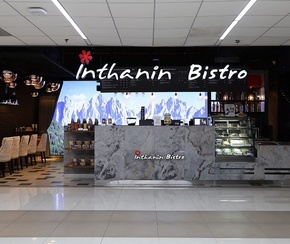 The best offers and prices on the official website onlyWe guarantee you the lowest prices, without booking fees. 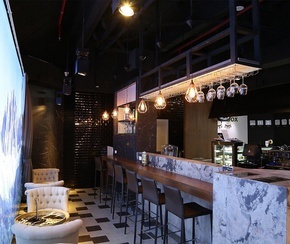 You will only find them on our official website. 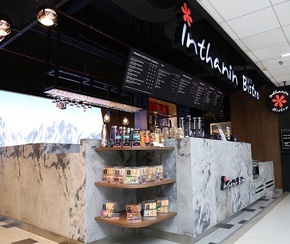 FromTHB435.00taxes included.